"Boycotting Israel would be a red penalty card for FIFA," says opposition chairman who says he supports Netanyahu on this issue. 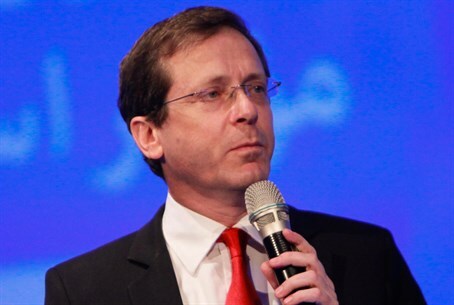 Opposition leader MK Yitzhak Herzog on Thursday threw his support behind Prime Minister Binyamin Netanyahu’s comments against the Palestinian Authority’s (PA) bid to have Israel banned from FIFA. He added, "the attempt to suspend Israel is very serious and we will oppose it with full strength." Yesh Atid chairman MK Yair Lapid lashed out at FIFA earlier on Thursday, listing a number of countries that have far worse track records than the Jewish state and which the soccer body has not targeted.